Japan-headquartered Toray Industries has purchased a 20% stake in US-based Plasan Carbon Composites (PCC), a manufacturer and distributor of automotive parts based on carbon fibre-reinforced plastics (CFRP), in a bid to strategically expand its carbon fibre composite material business globally in the automotive field. Established in 2006, PCC, leveraging its proprietary high-speed Pressure Press moulding technology, is the sole US Tier 1 supplier of CFRP-based exterior body panels (hoods, roofs, etc.) for Performance and Luxury cars of US automobile manufacturers. PCC uses Toray Composites (America)’s rapid curing, thermoset resin prepreg based on carbon fibres produced by Toray’s US subsidiary Toray Carbon Fibers America for its high-speed Pressure Press moulding. 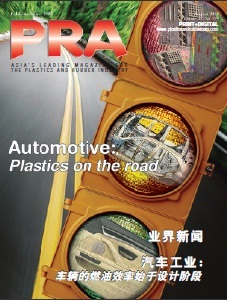 The capital participation in PCC enables Toray to ensure a distribution channel to US automobile manufacturers and establish a manufacturing and development base for CFRP automotive parts in North America, completing a comprehensive and strong supply chain covering from carbon fibres to intermediate base materials and moulded components. Toray has been working on enhancement of its business bases around the world to create a carbon fibre market for automotive applications. 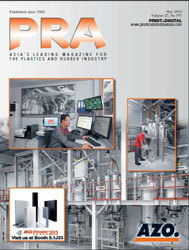 In Japan and rest of Asia, the company has been designing CFRP products and developing manufacturing technologies and products primarily at the Advanced Composite Centre (ACC) and Automotive Centre (AMC), the core facilities of A&A(Automotive & Aircraft) Centre that is its comprehensive technology development base targeting automotive and aircraft fields, located in Nagoya Plant. Furthermore, Toray in April earlier this year established Toray Carbon Magic (Maibara-shi, Shiga Prefecture) and Carbon Magic (Thailand) through share acquisitions from DOME Group to strengthen and enhance the vertically integrated supply chain. In Europe, which is quite advanced in the adoption of CFRP auto parts, Toray in 2008 took a stake in ACE Advanced Composite Engineering in Germany, a manufacturer and distributer of CFRP parts, and in 2011 established Euro Advanced Carbon Fiber Composites, also in Germany, jointly with Daimler AG to drive forward development of market and applications. The capital participation in PCC completes Toray’s automobile application supply chain starting from carbon fibres to intermediate base materials to moulded components in the major markets around the world. Under Toray’s medium-term management programme “Project AP-G 2013”, which positions automobiles and aircraft as one of the major growing business fields, Toray aims to significantly expand its business in the field by proactively allocating business resources. The carbon fibre composite material business is at the heart of the endeavour and Toray will expand the use of CFRP in the automobile field, which is expected to be a major application following the aircraft field.